"I found it quite useful... One tap of the app gives you all the parks hours along with Extra Magic hours in a scrolling list that includes six months of data." 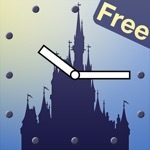 Park operating hours and event times for Disney World. This app has a 3.9 star rating (5098 ratings). It occupies the 32614th position in our ranking with 73 points. It is among the 5% best ones of its category and among the 5% best ones of the overall top.